Yesterday I received a present after a day at Peterborough Antiques Fair. 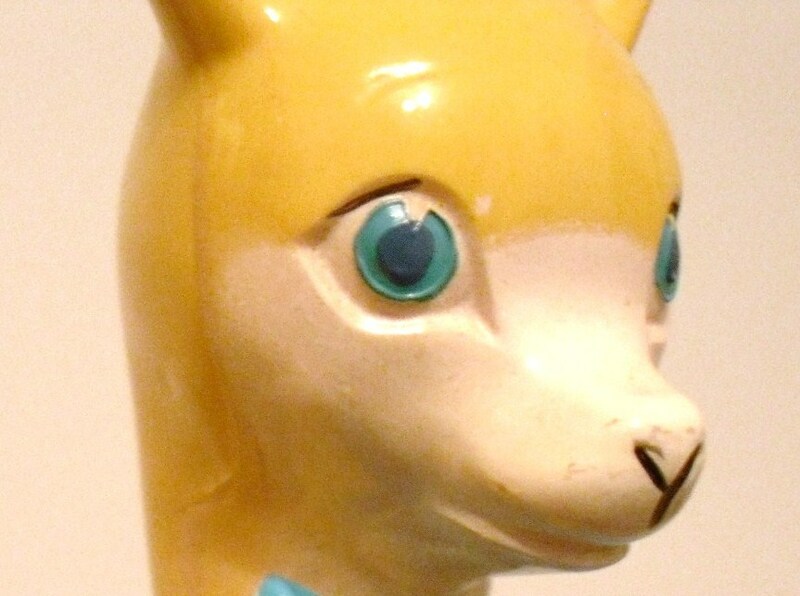 I closed my eyes and was told the gift was very delicate…slowly and carefully, I opened a Babycham bambi deer. She is lovely and in perfect condition. This is rare as often the horns and the bow have broken over the years. 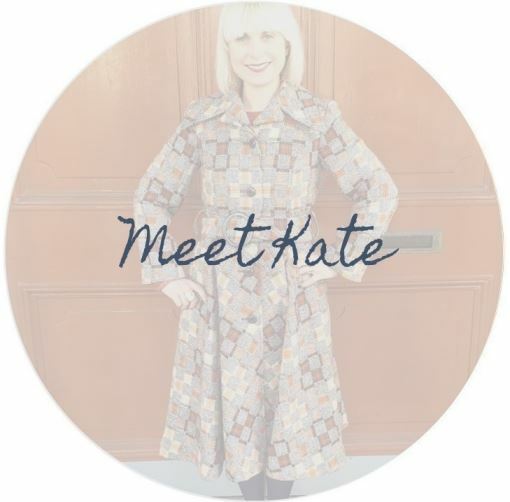 She dates from th e 1960s. They were introduced for advertising in bars and came in 3 different sizes. 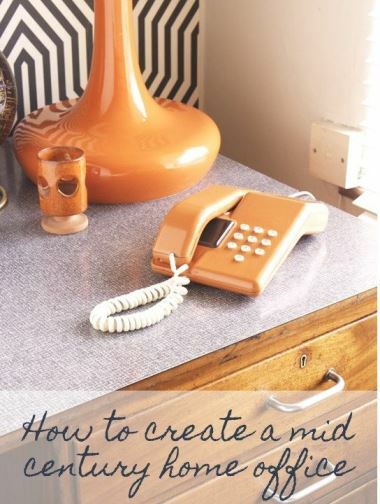 An orange version was also made which is extremely rare. She now sits pride of place in my cocktail cabinet (often mentioned in my blog) and the 70s plastic version has been relagated to the back. 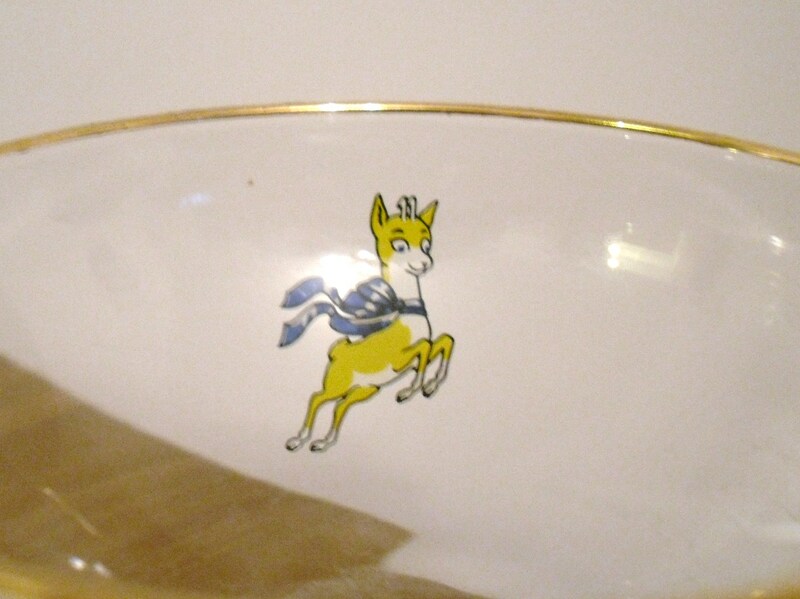 These ones arent actually made by Babycham but were very popular. They came as a set with 2 baby deers in orange and blue. 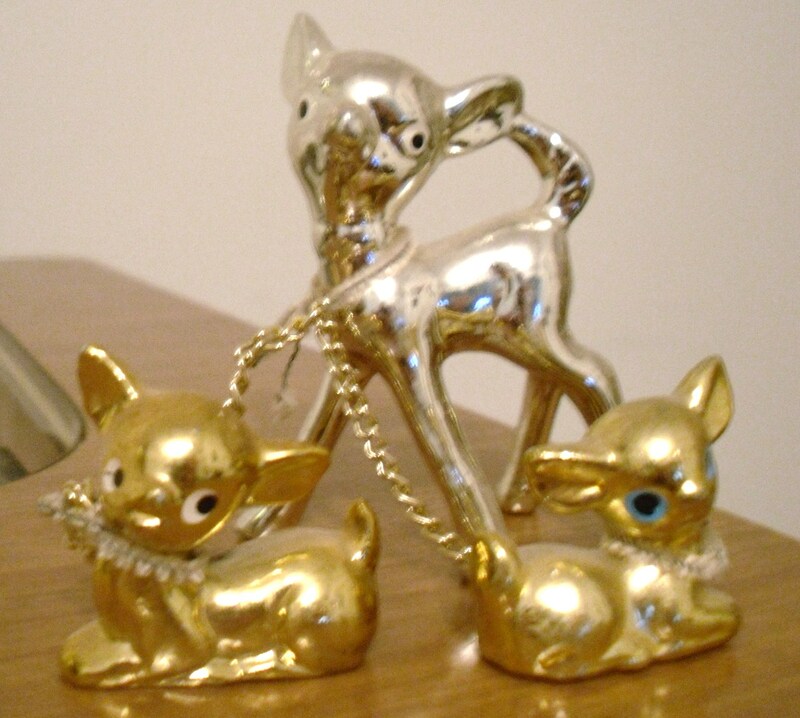 I also have a silver metal set of bambis! Then there are the ever popular glasses. 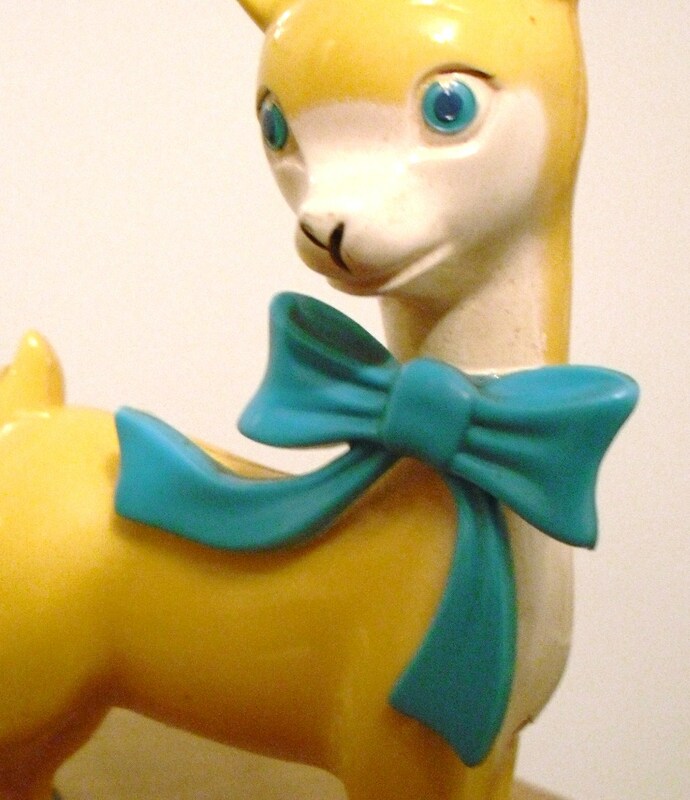 The 50s version has white deer that looks almost washed out. 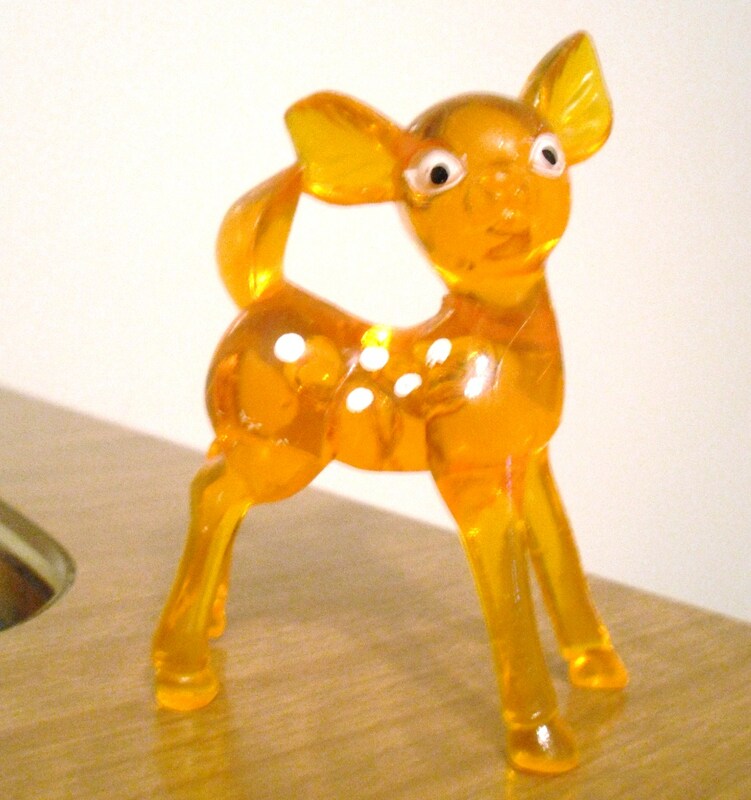 The 60s version has a frolicking deer in an orange colour. Her stance reminds me of my figurine. 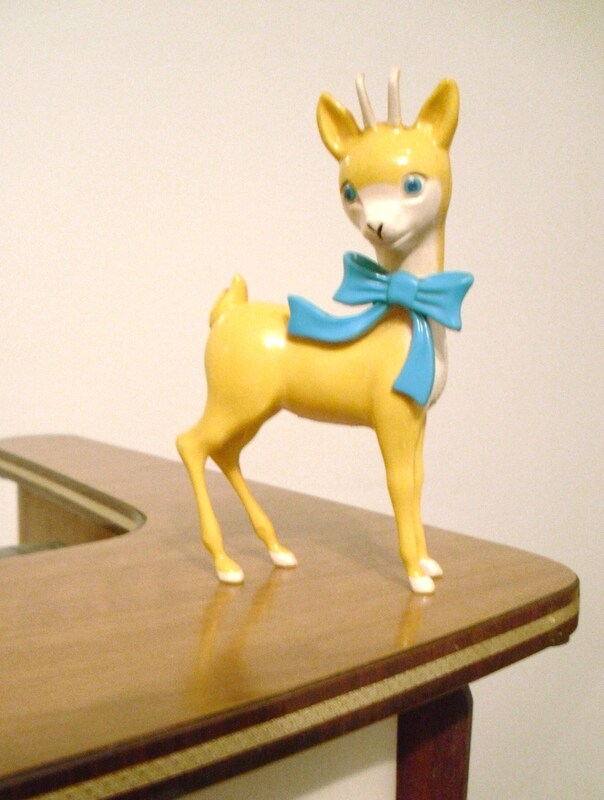 The 70s version is a yellow deer which is jumping. I try and collect them when I can and also have some for sale. It is hard to find whole sets as the deer and glass stems differ on each one as there were so many variations. 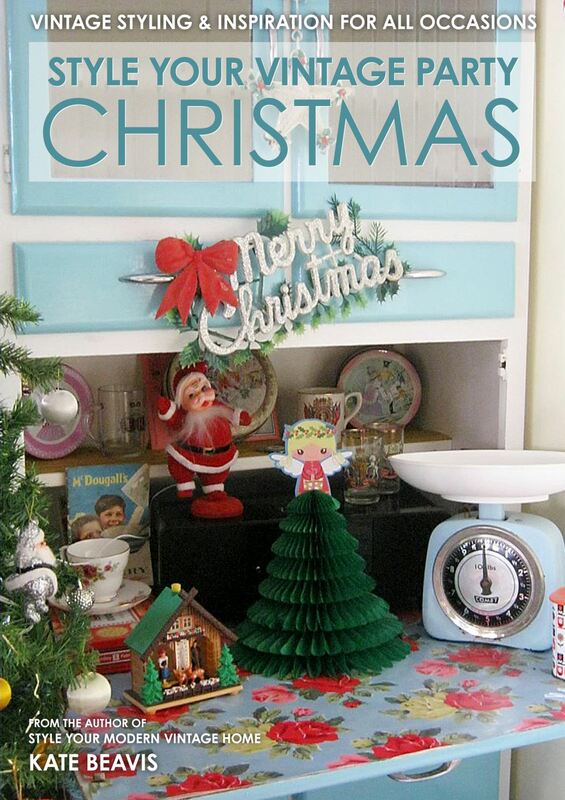 Babycham was first created in the 1940s in Shepton Mallet. One of the owners was playing around with fermenting fruit juices with the idea of creating a new cider. He discovered that perry pears made a refreshing and sweet sparkling drink. In the 50s it was bottled and called Champagne de la poire. It was entered into competitions, always winning first prize..it then was known as Baby Champ…..baby champagne…..baby champion….babycham! In 1953 there was a gap in the market for alcoholic drinks for young ladies. Men drank sherry, whisky and ale. Women drank gin and Creme de Menthe. 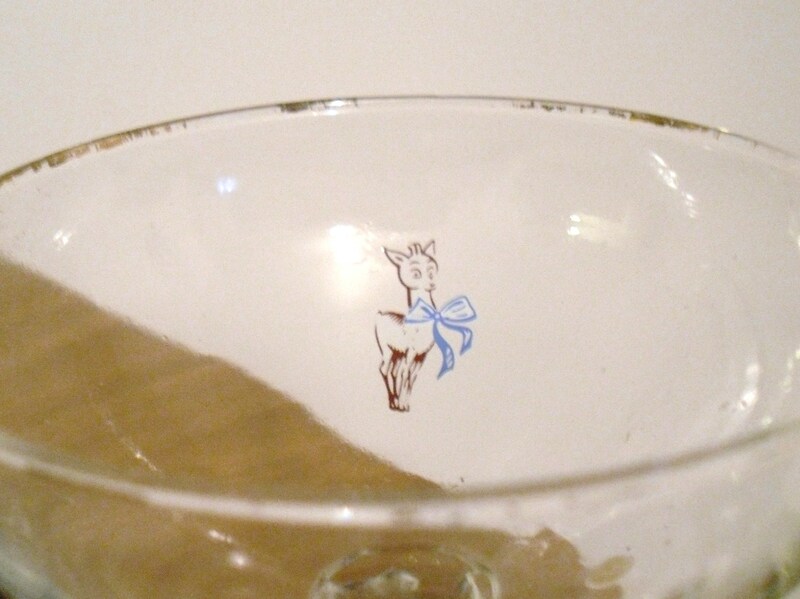 Babycham was fun, sparkly, aspirational and with the introduction of the deer brand image, the young lady found her tipple. 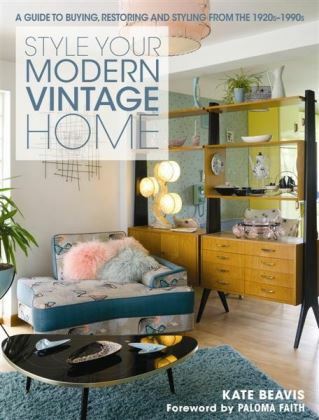 so retro, pschedelic and kitsch all at the same time! In the 60s the Babycham Babes beauty competition was introduced. 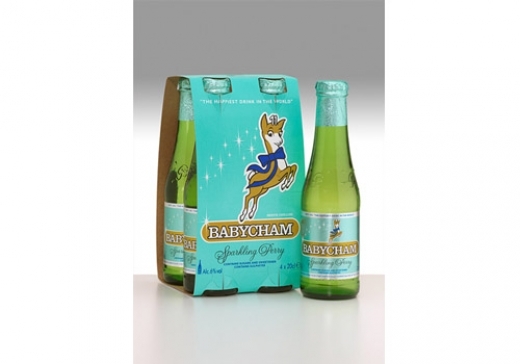 In the 70s and 80s, Babycham started to become outdated. Women who enjoyed it in the 50s and 60s continued to drink it but the younger generation were discovering wine and alcopops. In 1993 it was rebranded and the beautiful, fun and iconic deer was no more. 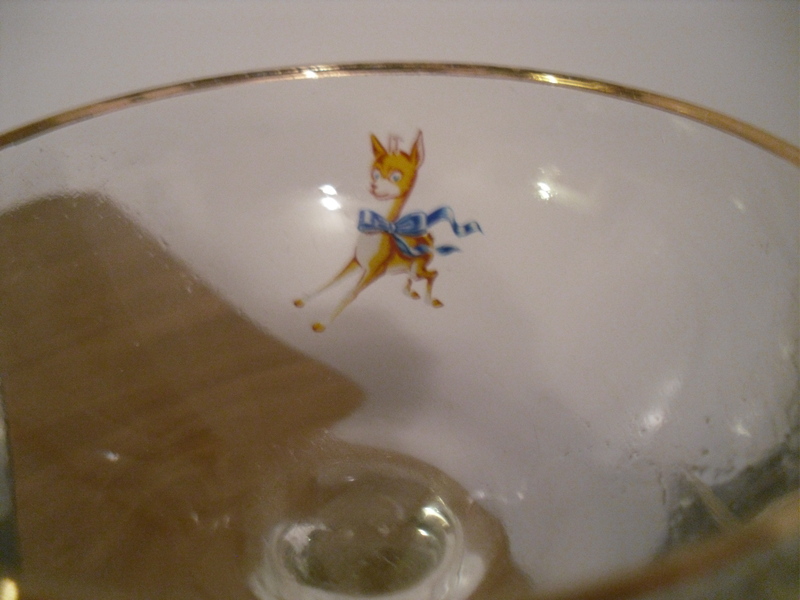 Ahh, childhood memories flooding back….on special occasions being allowed to move from R Whites lemonade to a sophisticated babycham in those beautiful glasses. And the little glass bambis which were so cute. 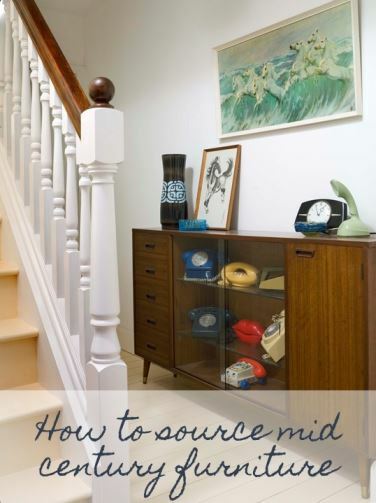 they just dont make adverts like that anymore! 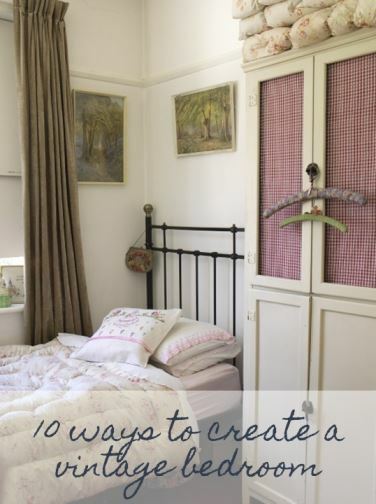 Great blog…if only the babycham tasted as good!